Hi to the people who still play Amnesia. Here is a patch (.exe file) that will fix a lot of problems with mods! Mods do NOT startup due issues with patches from Frictional Games. Some files are corrupted in a strange way. This .exe is an older version of the Original game. 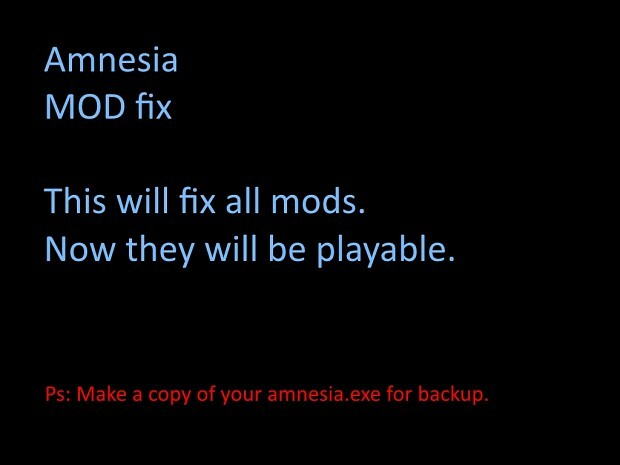 With this you can finally (re)play amnesia mods (again) - FIRST: COPY your Original Amnesia.exe file somewhere on your pc as a backup. 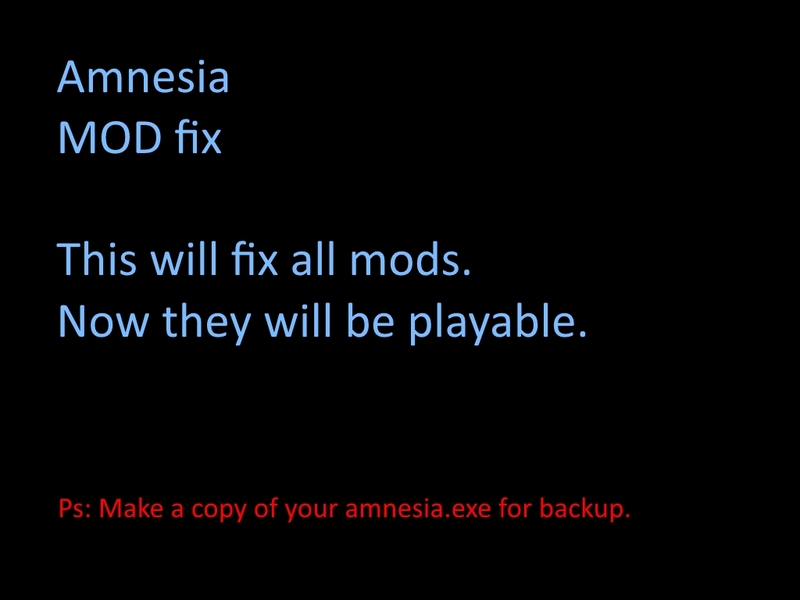 Then: JUST OVERWRITE this "amnesia.exe" over the Original which can be found in REDIST. Now you will be able to play the mods you want. PS: The SKYBOXES will be screwed up,Go to the ENIGMA page and downloads. To get the skybox fix! I don't understand. Can you name some of the older mods which won't work on the new exe file? Everything I have downloaded seems to work and I have like ~150 mods or so. Mods are different from Story's. Mods are changing standard features and uses their own .bat files. Story's are standard amnesia applications and standard assets. So I tried this and I can start the Full Conversion mods without problem now, yaaay. Still not able to play Premonition or Penumbra: Necrologue. I followed every step in the directions above.